Bid on a team issued black alternate jersey of Reynaldo Lopez. This jersey is size 46, set 1. 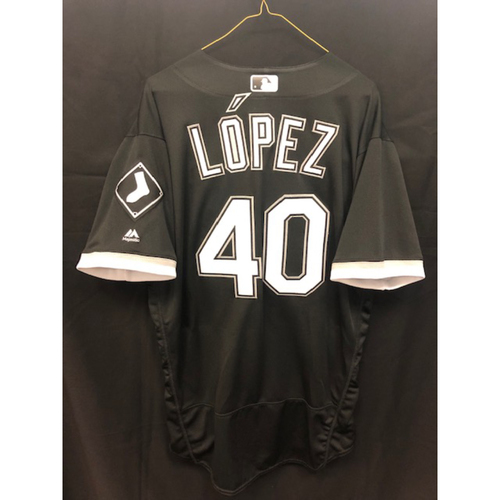 This jersey is authenticated by MLB. A valid shipping address is required for all deliveries. We regret that we cannot deliver to P.O. Boxes or Rural Routes. 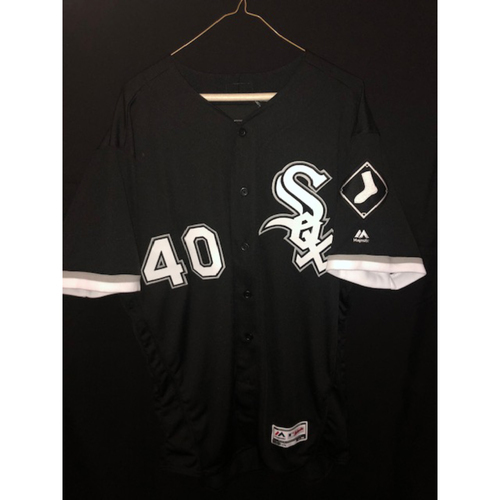 For all White Sox Auction listings, a signature is required upon delivery, please ensure that someone is at the delivery address to accept and sign for the package during regular business hours. Regular business hours are 9am to 5pm EST, Monday to Friday. All net proceeds will be donated to charity. Tax will also be added to the winning bids for auction items that are picked up in each of these states mentioned. All International customers are responsible to pay for all applicable duty and customs charges. Your local government determines duty and customs charges depending on where the merchandise is made and what it is made out of. When placing an order on MLB.com, you are considered the importer of record and must comply with all applicable laws and regulations. Charges for duties, taxes and the carrier's collection fee are in addition to your shipping charge and must be incurred by you. You should contact your local customs office for further information.